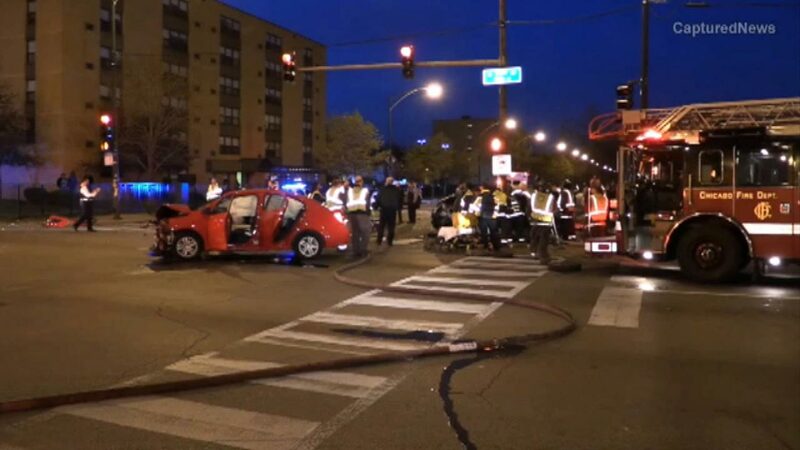 CHICAGO (WLS) -- A three-car crash in the city's South Side has injured several people, two of them critically. Police say the crash happened around 5 a.m. in the 200-block of West 71st Street. Three people that were in a Ford Mustang had the most severe injuries, as two of them are in critical condition. One had to be airlifted to the hospital. Two people that were in a Chevy are in fair condition and three passengers that were in a Nissan refused medical treatment. No other details about the crash have been released. A three-car crash in the city's South Side has injured several people, two of them critically.